We all do it every year. 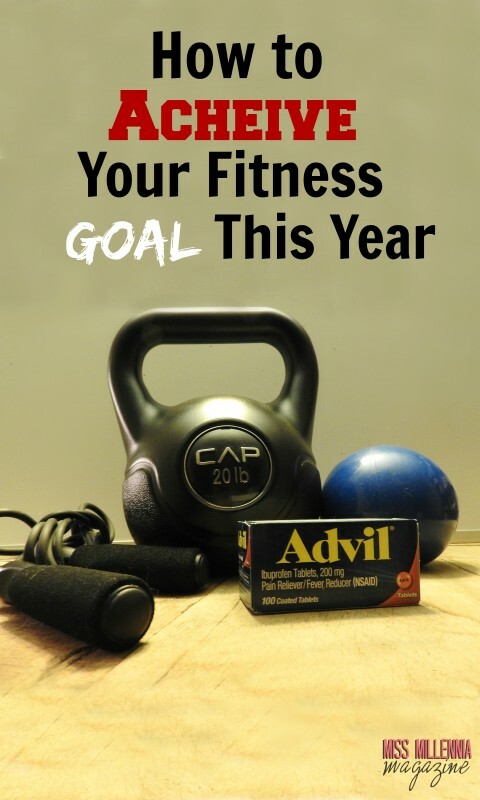 We make a promise to ourselves each year about a fitness goal. A few weeks go by and the dream we had just weeks before have long disappeared. What happens to out fitness goals? And why are they so darn hard to achieve? The answer is there are many reasons why we decide not to stick to our goals. We have food ads everywhere, we are busy at work, our knees still hurt, we have prior engagements. There are so many legitimate excuses you could come up with that you do start to believe that it is impossible to achieve the goal you initially set out to do. Well, I for one am tired of having the same goal every year only not to achieve it AGAIN. I succeed in so many other ways in my life, why can I not succeed at this. This year is my year I will achieve the goal I have been betting on for years now, and I will show you how to do the same for your fitness goals. What happens to our fitness goals? I mentioned earlier that it is easy to make excuses for yourself after you committed to the goal to get out of it. But that is just one symptom of the problem. The bigger issue is you are getting social cues from all over the place to quit. For example, how many billboards did you see for fast food today? Are your friends active or are they more sedentary? Do you sit for most of the day at your job? Did you have a donut for breakfast or a bowl of oatmeal? How many people have you seen exercising today? While some of these things may sound silly, they can be real factors that are helping you decide if you should or should not go to the gym today. With so many social cues working against you, it’s no wonder you’re talking yourself out of the gym. My fitness goal every year for the last four years has been to run 12 5ks in a single year. I ran track in high school, and the best part of it was the adrenaline rush you’d get competing in track meets. As an adult and not as fast of a runner anymore, I still love that rush and have found it in running 5ks. I chose 12 because that means I can run one per month and be pretty satisfied with that. I also like the idea of running 5ks because it encourages me to keep working out on my own, so I am not sore at the race. The most 5ks I’ve ever done in a given year is 6, but I am positive I can get to 12. As with any goal you have to write it out. You are so much more likely to achieve what you set out to do if you write it down. Hence, why I am writing this blog post. But it has to be a good plan too. If it is not realistic then, it is just as difficult to achieve. Doing a little research helps with this. For my goal, some of the reasons I have failed is because I did not pick out my races ahead of time. There are way more available 5ks at the beginning of the year and the summer, however, by the time Fall comes around, there seems to be a dry spell of races which turns out to be the perfect excuse for me not to run any more races. So I did some research, and the list below are the races I plan on running this year. I have already signed up for the first 6! The next step in achieving your goal is to have a fail-safe. That means having some system in place for when you feel like quitting or try to stop. There are a few ways to do this. The first way is to designate a few friends to hold you accountable. This goes so far. Tell them your goal, and let them know that if you try to get out of it, they have to encourage you to continue and remind you that this is YOUR goal and YOUR dream. Excuse two: I’m too busy Rebuttal: You are too busy for your health? Priorities man. Excuse 3 is a good one for me. Since I am sore, it is my way of thinking I deserve a break. But in reality, me being sore is my body’s reminder to get back in the gym. My Advil® Tablets have gotten me far in the past and allowed me to push myself when I thought I did not have any more effort to give. I know that with fast acting Advil® Tablets in my arsenal, excuse 3 is no longer a good one. Advil® is all about “Pain-Free Passions” and they do a good job for being a great ally when I am feeling the workout from before. Now that you’ve set your goal wrote it down, and put some fail safe’s in place, all that is left now is to go out and make it happen. As long as you believe you can do it, and you follow your plan when it starts getting tough, there is no reason you cannot achieve your fitness goal this year. You have a plan, a support system and a good reason to do it. Now all you have to do is believe you can and you will. Good luck on finally hitting that goal you’ve wanted for so long. I know the sense of achievement you’ll have in the end will be well worth the wait. Interested in learning more about achieving your fitness goal? Be sure to read The Fitness Goal Triad: How to Successfully Reach Your Fitness Goals.